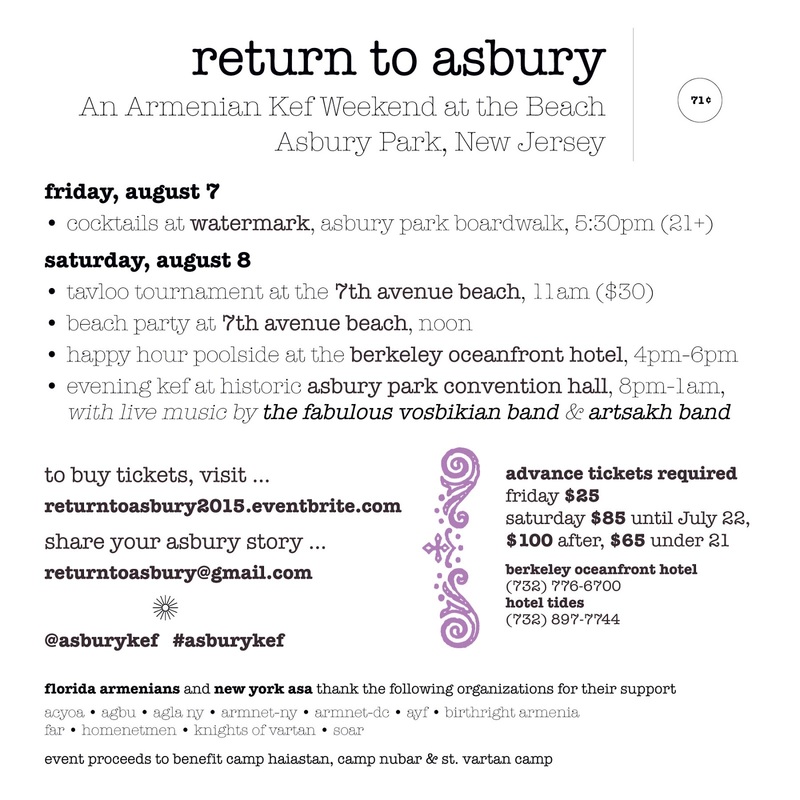 TheArmenianKitchen.com : Return to Asbury Park 2015 - Make your plans to attend NOW ! 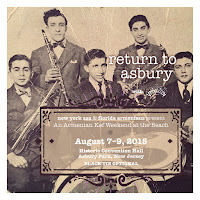 Return to Asbury Park 2015 - Make your plans to attend NOW ! Asbury Park, NJ had been my family’s go-to vacation destination ever since the early 1950’s. Some landmarks of that era included the Van Hotel, Hye Hotel, Berkeley-Carteret Hotel, Monte Carlo swimming pool, Convention Hall, Sunset Lounge, the boardwalk, and, of course, the beach! Armenians crowded the sandy shore mostly between 6th Ave. - 8th Ave. Beach blankets covered the sand; kef-time music filled the air. It was an awesome, innocent, coming-of-age location. The late 1960’s -1970’s presented hard times for Asbury. Thankfully, the area has come into its own again. Tourism is once again flourishing, and Armenians are returning! 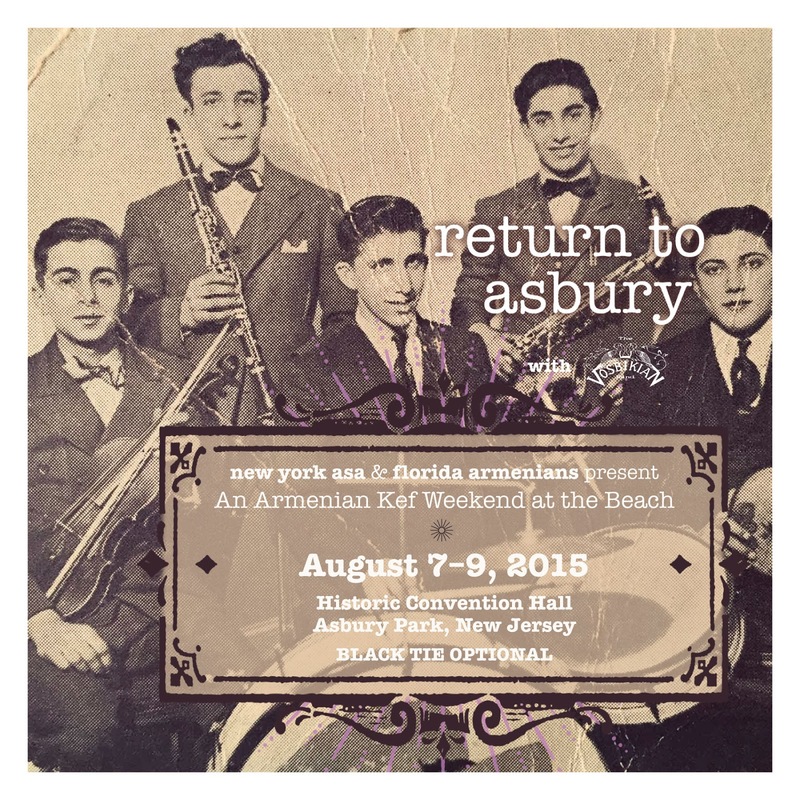 In fact, 2015 marks the fourth consecutive year where Armenians will appear en masse in Asbury! 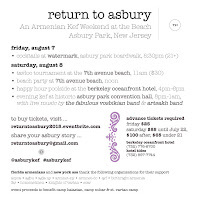 This year’s ‘Return to Asbury’ kef weekend on the beach is taking place from August 7th through August 9th. By attending, you’ll not only have the time of your life, the event proceeds will benefit Camp Haiastan, Camp Nubar & St. Vartan Camp. Arsine Kaloustian and Taniel Koushakjian, founders of the state-wide organization Florida Armenians (FLArmenians) and rising community leaders, are working hard to make this year’s gathering super-spectacular. 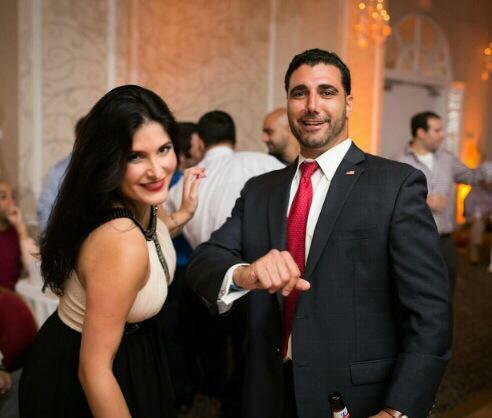 I’ve known these two fine, young professionals since they were children. I met Taniel when he was five, but have known his mother, Arlys, since she and I were in our early teens – in fact, we met at the Van Hotel in Asbury Park! I met Arsine and her family when she was about 12. Arsine, Taniel, and my daughter, Mandy are all about the same age, and grew up in South Florida. They formed a close-knit friendship from the very start - but I digress. Return to Asbury 2015 will feature the Artsakh Band and......for the first time in Asbury in almost 50 years.....the Fabulous Vosbikian Band! Need a place to stay? Check out the Berkeley Oceanfront Hotel or the Hotel Tides. There are also some B&Bs in the area. Get your tickets online now: www.returntoasbury2015.eventbrite.com. Don’t delay; prices go up on July 1st !